My Friend recently built a new tower on Malabar Hill in Mumbai. As usual, he occupied 104th floor and in addition kept floors 101, 102 and 103 with him just in case. He being a close friend to Donald Trump, he named the Tower as Trump Tower. I thought that his gesture was very generous. Me and Professor decided to meet him and see his new house on the 104th floor. He invited us for a breakfast. When we entered the lobby, there were long queues outside each of the 12 high speed elevators. We stood in one of the relatively shorter queues. I saw Niranjan Hiranandani, Vikas Oberoi and Adi Godrej in the same queue but little ahead of us. “Dr Modak and Professor, how come you are here?” Nirajan beamed. When I explained that we were there to meet our Friend on the 104th floor and have breakfast; all three of them moved close to us leaving their position that was ahead of us in the queue. We got into a conversation. We learnt from them the Ministry of Environment and Forests and Climate Change (MoEFCC) had recently proposed relaxation of the Environmental Clearance (EC) conditions for reality industry in the “national interest”. This relaxation was a matter of great rejoice to all the builders and developers. Now no separate EC was required for building plans with a total Built-Up area up to 50,000 sqm for individual buildings. The permissions would be governed by “environmental conditions” like use of water efficient appliances, rainwater harvesting system, proper waste management system, use of energy efficient system, use of renewable power, measures to tackle pollution, green cover etc. MoEFCC made an argument that such a relaxation was necessary to achieve housing for all by 2022 with the objective of making available affordable housing to weaker section in urban areas. I thought they should have added that the idea of relaxation was also to mainstream green in buildings as a default. They simply missed the point! (May be the Ministry thought that all the green ideas may just remain on paper and not get implemented). Mr. Godrej handed over to me a brochure that contained a “green builders code” prepared by a consortium of large builders. The brochure provided details on how environmental conditions will be mainstreamed or embedded following schema such as TERI GRIHA, LEED, EDGE etc. Mr. Vikas Oberoi said that builders will do even more than what is expected by the Government and local authorities and do beyond than what is expected in the schema. For example, all the buildings they do, will be meeting the indoor quality standard of Finland – one of the most strict indoor air quality standards in the world. (Why Finland? Well India does not have indoor air quality standard as of today – they said. They were absolutely right). I was really overwhelmed to see their commitment to “green”. The builders were to meet my Friend on the 104th floor and request him to finance their mega projects. “I am sure my Friend will help you” I said. “He really has a problem on how to spend his moneys”. All three were happy to know this problem. When we reached 104th floor, we were ushered in and the three builders were asked to wait in a plush lounge. They were served with a Columbian coffee in solid silver cups. My friend invited us to the dining table for breakfast. He told us that given the relaxation given by the MoEFCC, he was planning to invest around 100 billion Rs in the reality sector and in particular in high-rise buildings. High-rise living offers so many benefits, he said – such as an amazing views, efficient amenities, reserved parking, on-site staff and management that can take care of your needs. While I supported his idea, Professor had another point of view. He picked up a few Arabian dates from the bowl, and cited a study published in early 2016 in the Journal of Canadian Medical Association. The study that involved 7,842 cases of out-of-hospital cardiac arrest, reported that living in a high-rise building radically decreases one’s chances of surviving. The survival from cardiac arrests was greater on lower floors than higher floors. It was found that first responders were often stuck on the ground floor waiting for an elevator and could not reach the patient in time. My friend listened to Professor carefully. He said that he will solve this problem by setting up an Intensive Cardiac Unit (ICU) on the first floor and engage some of the top cardiologists from Hinduja, Leelavati and Bombay hospital. Each flat will be provided with an emergency “chute” (like done for vacuum based solid waste collection) that will move the patients straight to the receiving bay of the ICU. Of course this will be optional – my Friend wanted to be fair. He added that all these cardiologists will get a flat in the building at only 50% of the cost. So they will be resident. I thought this was a clever solution. Mumbai Corporation should now insist on an ICU for granting Occupation Certificate (OC) for all the new high-rise buildings. Professor did not give up. He said that there is now evidence that during the breakout of a highly infectious disease, such as SARS, high-rise dwellers on all floors are at higher risk than people living in single or detached homes. The sheer number of people sharing a single building can also increase the threat from communicable diseases such as influenza, which spread easily when hundreds of people share a building’s hallways, door handles and lift buttons. My friend said that he will consult doctors from KEM hospital specializing in communicable diseases and set up an isolation bay for infected patients on the 13th floor. These patients will be well looked after by providing them with comfortable beds (on the model of first class seats of Lufthansa), a smart 5th generation TV and they will be serviced by attractive nurses like air hostesses so that the patients will stay longer in the isolation bay. I thought this was another great innovation to tackle the problem. Professor lit is cigar and paused. Perhaps, he wanted to make a major observation. He said that according to studies carried out in Australia, more people living in high-rise buildings means more people living in social and economic silos where the chance encounters of street life are severely compromised. Many feel an absence of “community”, despite living alongside tens or hundreds of other people. 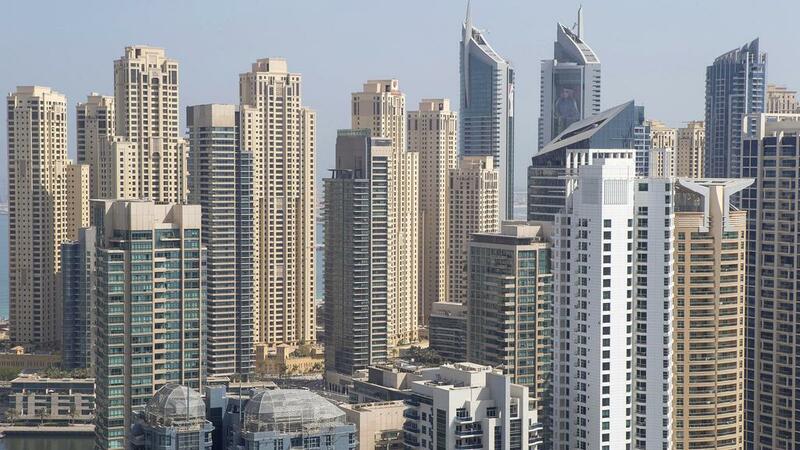 Living in high-buildings therefore leads to depression and other mental health problems. Further, high-rise living evokes unsettling fears – residents could be trapped in a fire, or fall or jump from the tower. (The former being most relevant in Mumbai given the frequent incidents of fire in the high-rise buildings). And in earthquake-prone countries, residents of high-rise towers face the possibility that their entire building could collapse. Living with fear every day means that residents of high-rise housing are vulnerable to mental health issues. In Singapore, between 1960 and 1976, the percentage of people living in high-rise buildings climbed from 9% to 51%. During the same period, the per capita rate of suicides by leaping from tall buildings increased fourfold, while suicide by other means declined. The overall suicide rate in Singapore increased by 30% over the aforementioned period but the rate by leaping increased many times faster, which suggested that having more tall buildings leads to more suicides. Although suicide rates in Singapore have been stable now for the last five decades but jumping from buildings remains a common method for suicide. I thought of butting in. I mentioned that perhaps one of the major issues of causing stress is the waiting time for getting in the elevator. If this happens every day, then people will go crazy. That’s very clever of you I said. I knew that my Friend was really technology savvy. “And on the issue of feeling isolated, I plan to recruit liftmen/women who would converse with the occupants in the elevator; wish them; ask them about their health and inquire how the day was and check whether they need any help. The staff doing cleaning and housekeeping work will also be trained by some of the top communicators like S A Anand who would engage in interesting conversations with the occupants. The security guards will also do their bit too by smiling while frisking people and not behave like dumb robots. In addition, the manager of the building will celebrate birthdays of every occupants who is above 60 years. The celebrations will happen on the 17th floor and the cakes will be supplied by Ovenfresh with low sugar and no eggs. No one will feel left out or isolated. Professor seemed satisfied. He extinguished his cigar. He advised my Friend that all these ideas should be framed as loan covenant by his Lawyer to builders like Godrej, Hiranandani and Oberoi and the like. My friend agreed. “But I will personally finance these initiatives if costs are high. A few millions here and there don’t matter to me” He said. He was kind and generous as he has always been. I told my Friend that he must also mingle with the occupants especially when he takes the elevators or walks in the lobby. This will make a big difference. I took a close look at my Friend’s face. I noticed a quiver in his voice. I was worried as he certainly looked depressed. He seemed in some kind of a mental stress. I thought for a while. Was it really worth then to live in an island up in the sky?